Every participant in a school sports team is required to complete a pre-participation physical examination, also called sports physicals. 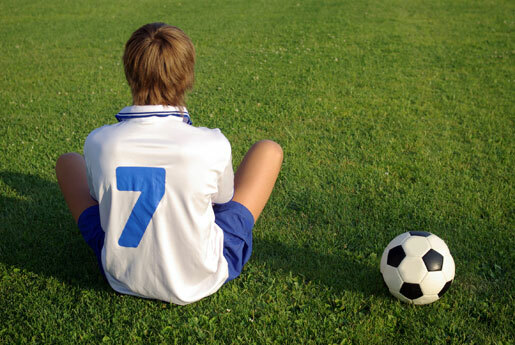 We offer sports physicals at both medical centers in Pasco County. Our patients bring the necessary forms from thier school/organizations so the physician may complete at the time of visit: family illnesses history, hospitalizations, past injuries, and a player's overall health. If a problem is discovered, the doctor and athlete can work together to develop a plan to prep the athlete for competition. Requirements of sports physicals can vary by sport and organization. Be sure to check with your sports program administrator about the necessary requirements, in order to be cleared to participate. Employers may require a pre-employment physical examination to determine the eligibility of an individual for employment with their company. Drug testing and physical ability tests may also be included as a condition of employment with that company. We at Pasco Walk-in Clinic can perform all the required testing for you. Employment physical examinations may include health inquiries and physical examinations, including physical or mental health assessments. To protect against discrimination in hiring, the physical examination should be required after a job is offered. The physical examination must be related to the job the applicant will be doing. There are several types of drugs tests that candidates for employment may be asked to take. The types of drug tests which show the presence of drugs or alcohol include urine drug screen, hair drug or alcohol testing, saliva drug screen, and sweat drug screen. We can gather the sample at either of our locations and if necessary send them out to the appropriate laboratory for testing. This will save the patient from having to go to a separate location and lessen the time needed to finish this possible requirement for employment.